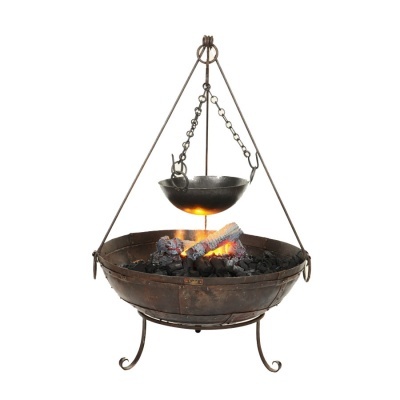 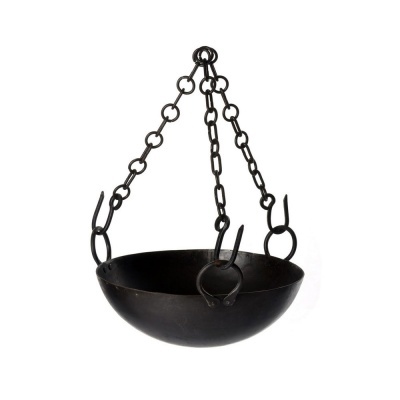 Kadai Firebowls Cooking Bowl (XM079-36D) supplied as an accessory to the Kadai Firebowl grill range, for suspending from a cooking tripod above a firebowl grill. 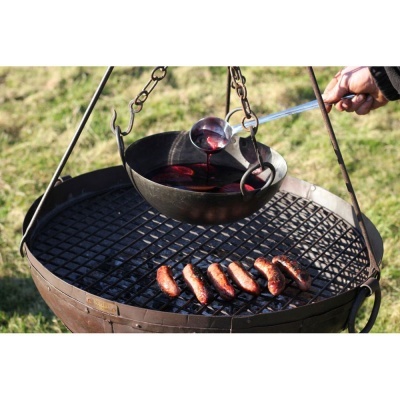 Constructed from wrought iron, the Kadai cooking bowl is supplied with 3 point heavy chains, and ideal for long slow cooked casseroles and curries or hot sauces, whilst freeing up the main grill for other use. Kadai promotes outdoor social cookware, handmade with great care by craftspeople across Rajasthan.